Schedule routine tree pruning in Pendleton and Anderson, SC. Twin Oaks Tree Service, LLC is locally owned in the Pendleton and Anderson, SC area. 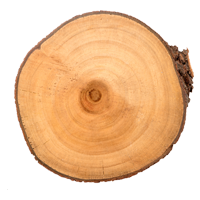 We bring more than 14 years of experience to our tree care services, and we work at both residential and commercial properties. Turn to a professional, detail-oriented tree service for all your pruning and removal needs. We also do land clearing. Learn more about Twin Oaks Tree Service by calling 864-844-2112. We offer free estimates. Keep your trees shapely and healthy with routine trimming. We make it easy to keep your trees looking great and growing strong. Call today to find out more. Do you need professional tree removal services? Twin Oaks Tree Service, LLC will remove the diseased or unwanted trees from your property with care. Contact us today for more information. Copyright © 2019 Twin Oaks Tree Service, LLC, all rights reserved.